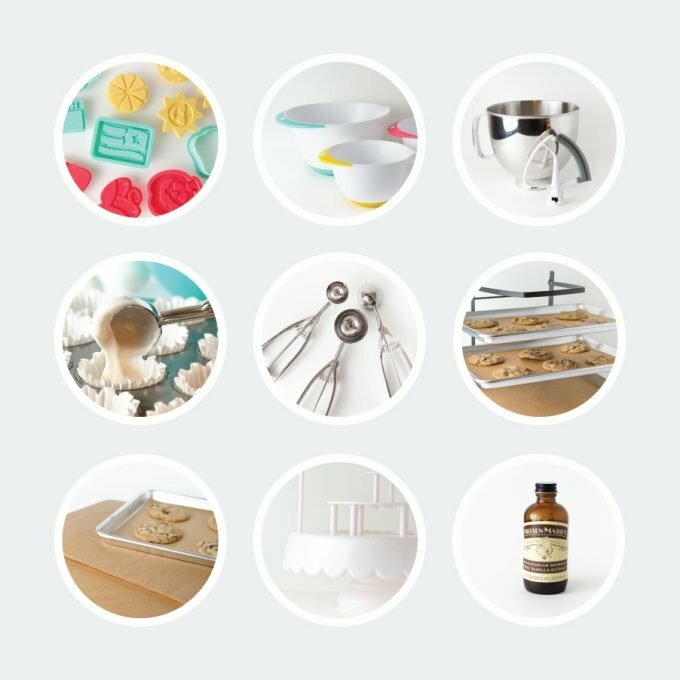 Know someone who loves to bake or just looking for some unique items to gift yourself? 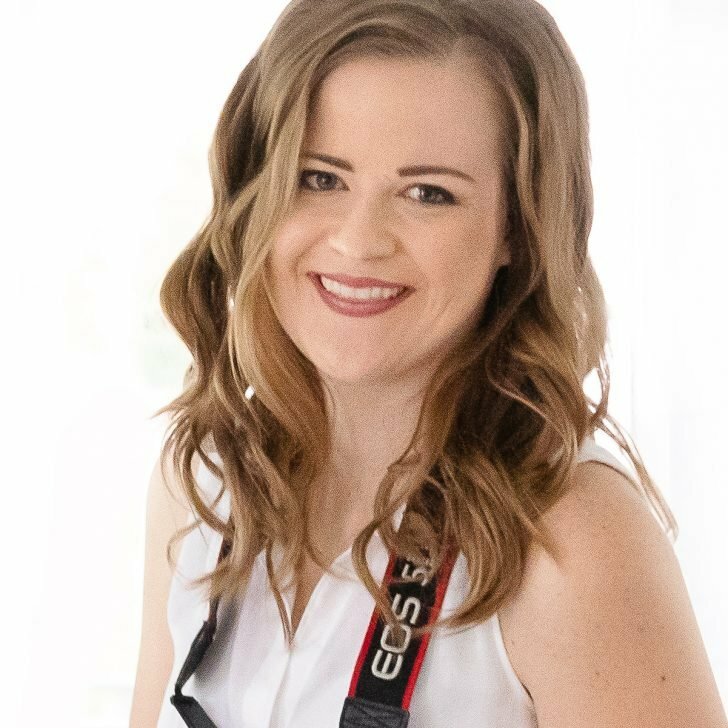 Today I’m sharing my 2018 gift guide of 15 of my favorite (and actually useful!) baking products from this year! 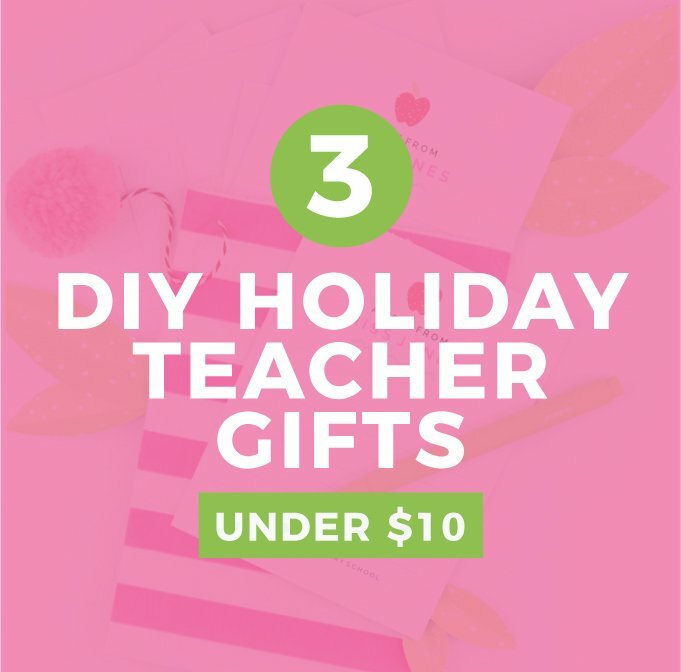 Includes links to purchase, as well as a guide at the end on how you can pair the products to create baking gift baskets under $25, $50, and $100. Over the years, I’ve basically gotten baking products for about every Christmas gift. 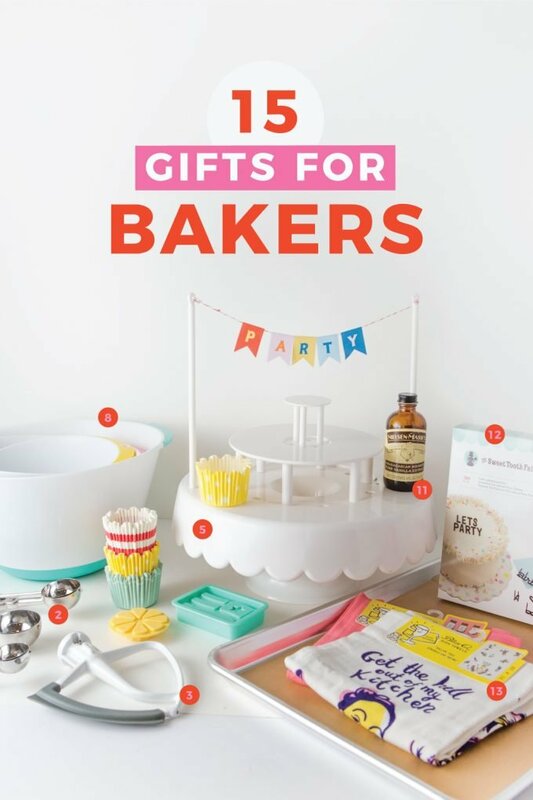 While there are a ton of “frilly & fun” baking products out there, I wanted to round a baking gift guide of 15 of the most USEFUL (and a few fun) gifts for bakers (that they’ll actually use!). 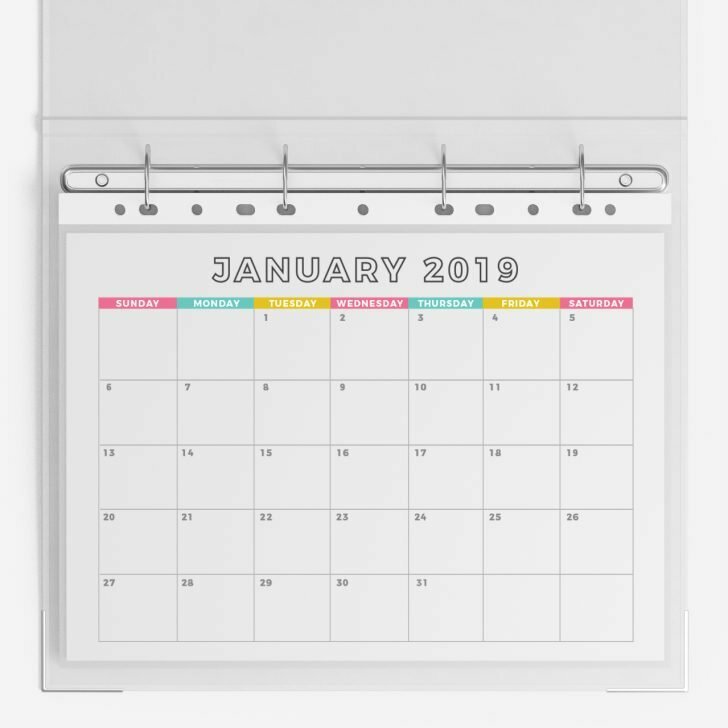 Not just generic gifts for bakers like rolling pins, but things that myself and our community of baker’s swear by that they use on the weekly basis. 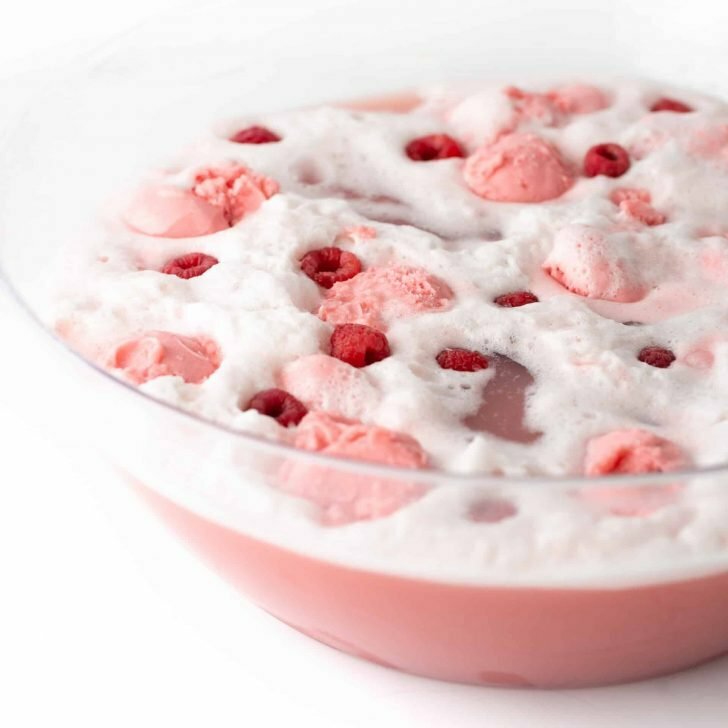 So without further adieu, I present you “10 Gifts for Bakers” that you’ll actually use! The biggest problem most baker’s have is that they don’t have enough counter space. 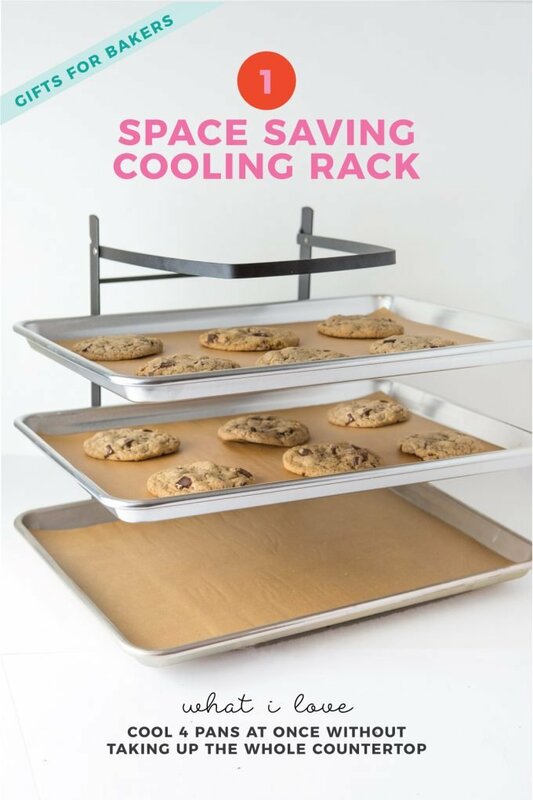 This cooling rack solves that problem by allowing you to cool 3 baking trays at once! I got this from a friend last year and it’s amazing. It folds us for compact storage, then pops up when you need it! The #1 most used kitchen tool I use is (by far) my stainless-steel metal cookie scoops. 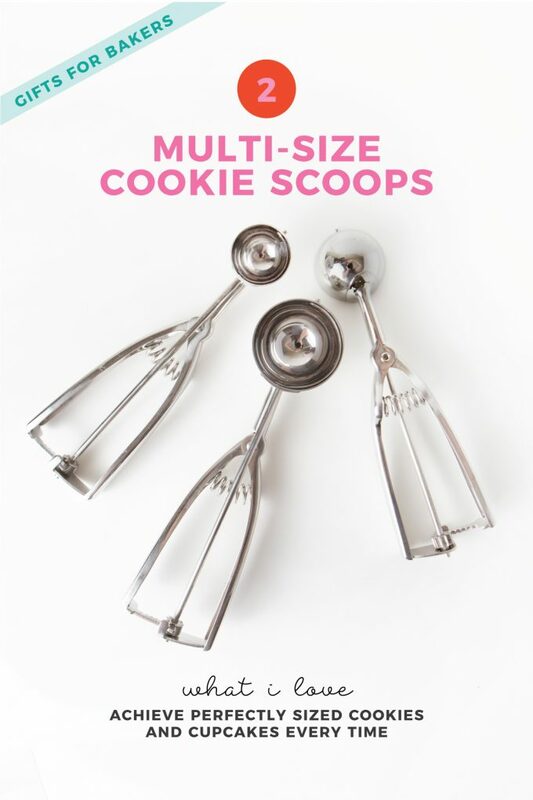 Coming in 3 different sizes, these nifty tools allow you to scoop perfectly-portioned cookies, cupcakes, muffins, and more. As an avid baker, there’s nothing worse than having to wash the beaters in between recipes. So having a extra Kitchenaid paddle attachment has been one of my favorite gifts received. 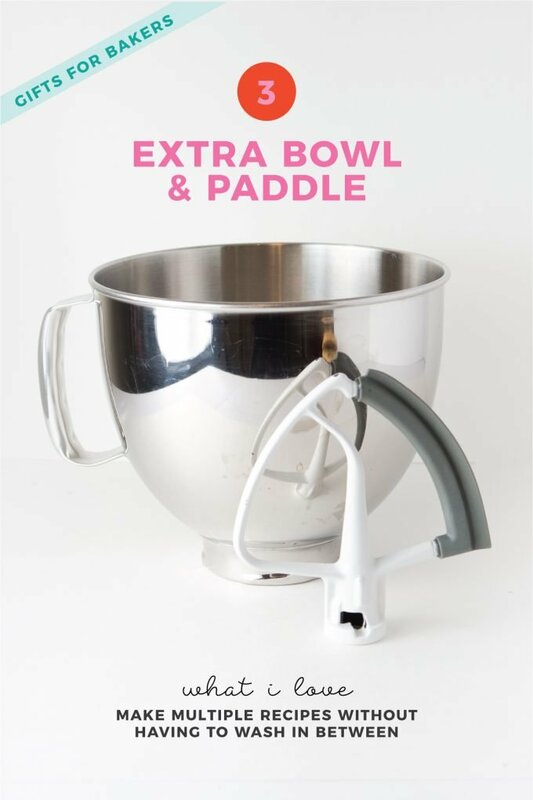 Now I can mix up the cookie dough and frosting without having to wash the bowls or paddles! This is actually something I got my mom over 10 years ago and it’s still holding strong under our kitchen counter. If you know a baker with a Kitchenaid mixer, this gadget allows you to store the mixer attachments under the counter for easy access. In a rental? Use strong velcro Command strips to attach. 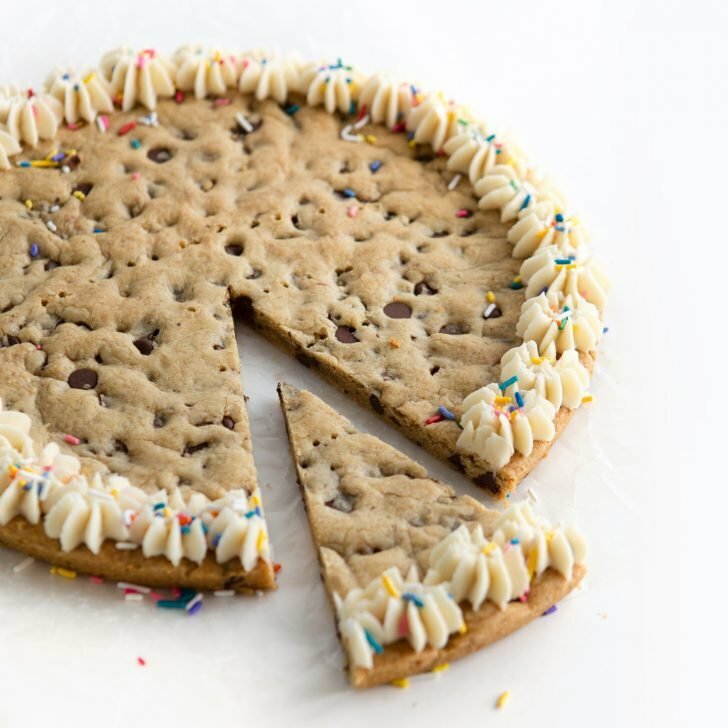 Know someone who loves baking AND entertaining? 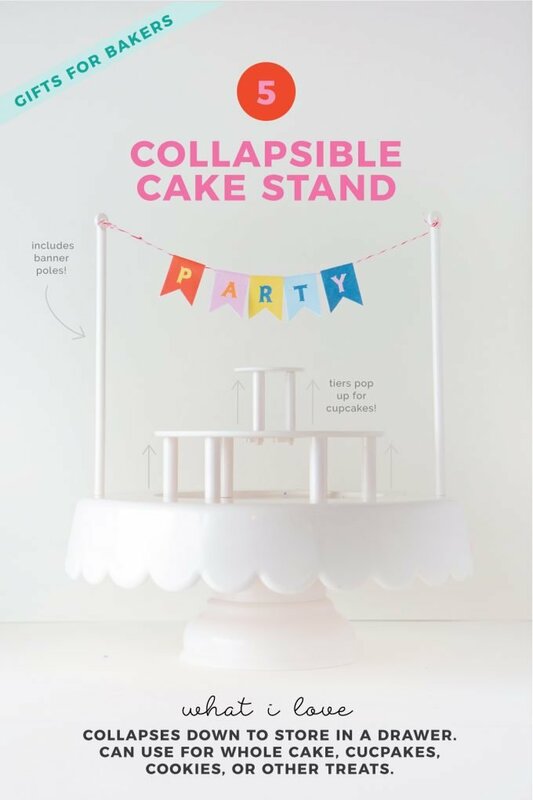 This collapsible magic sweet stand is the ULTIMATE gift for bakers. 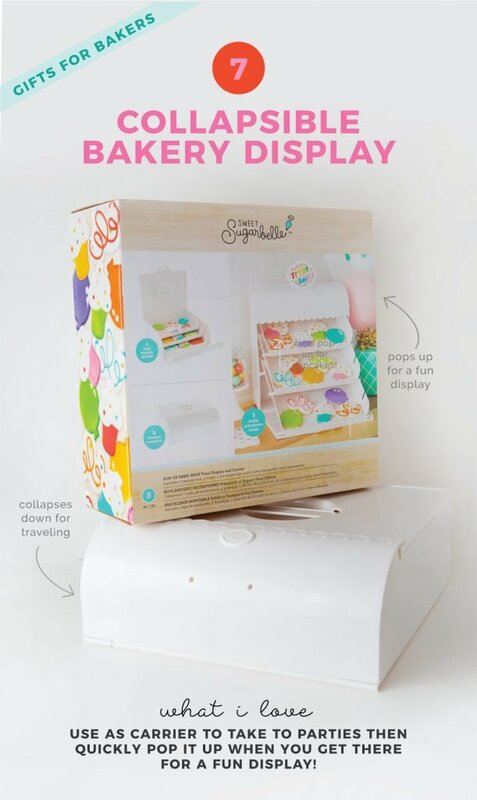 I may be a little biased because I helped create this, but it allows you to pop it open to display cupcakes, cookies, and other treats and then completely collapse it for compact storage. And the best part? It comes with the banner poles, making it perfect for parties. If there’s one thing I go through the most, it’s parchment paper. 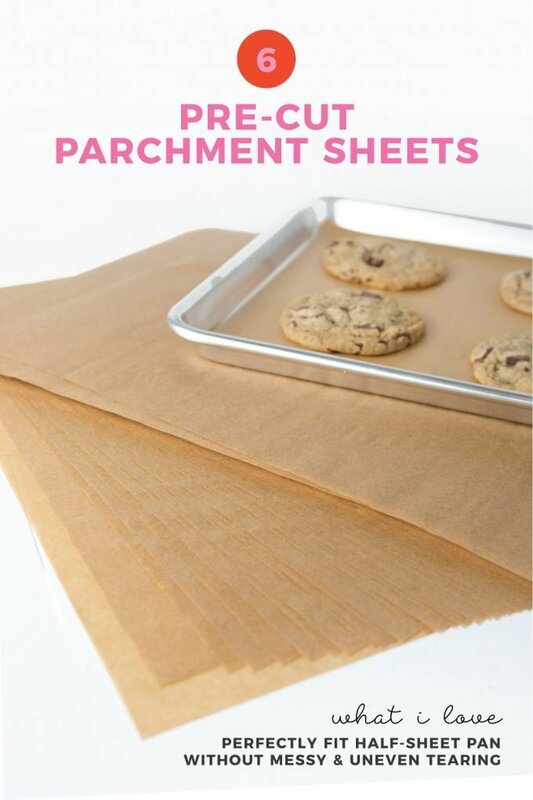 Instead of messily tearing off a roll, these parchment paper SHEETS allow you to quickly cover the pan without the guess-work. And the best part? 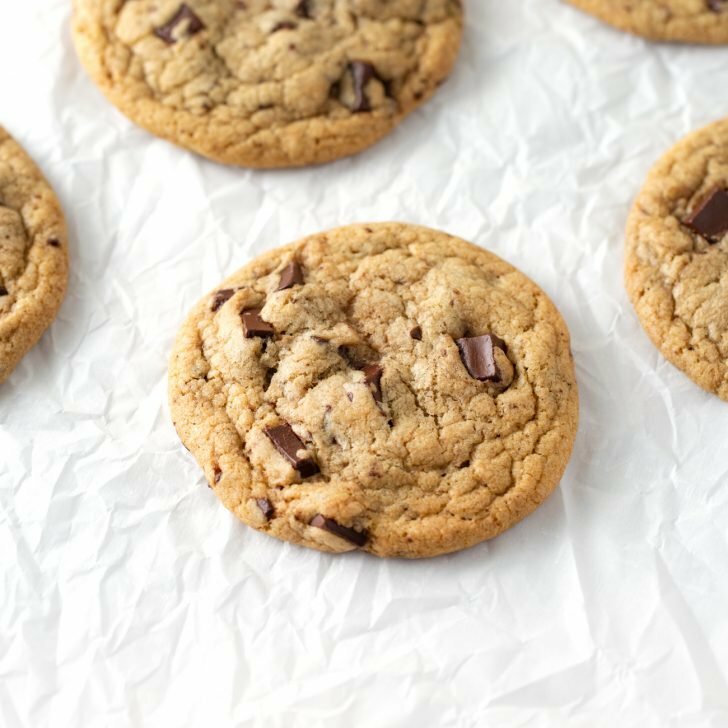 You can reuse the sheets for multiple rounds of baking, making this pack of 50 last much longer! Another one of my favorite baking products for entertaining is this Cookie Display from Sweet Sugarbelle. 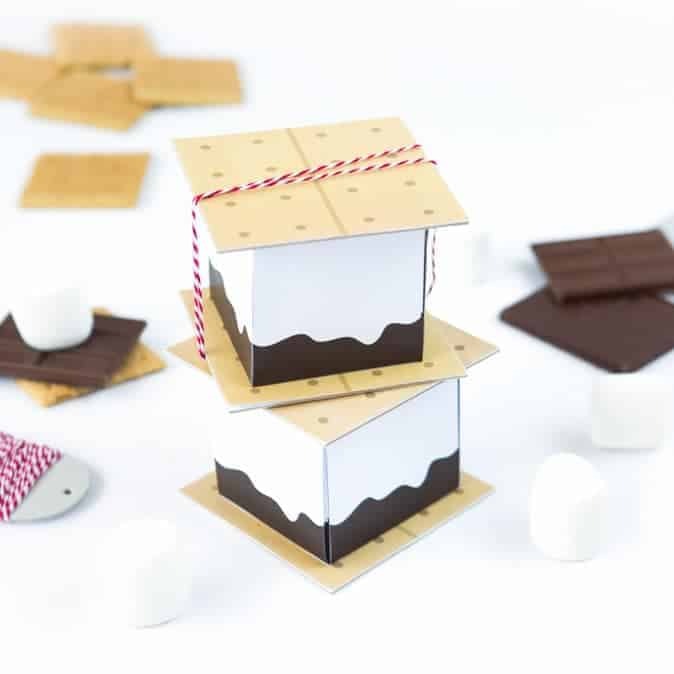 Once again, this compact design allows you to pop it open to display cookies or bars bakery-style and then completely collapse it for easy storage and traveling. no matter how much you bake, you can always use more mixing bowls. For me, I use 3-5 bowls each time I marathon bake and instead of having to wash them for each recipe, I have a good collection of cute bowls to switch out. 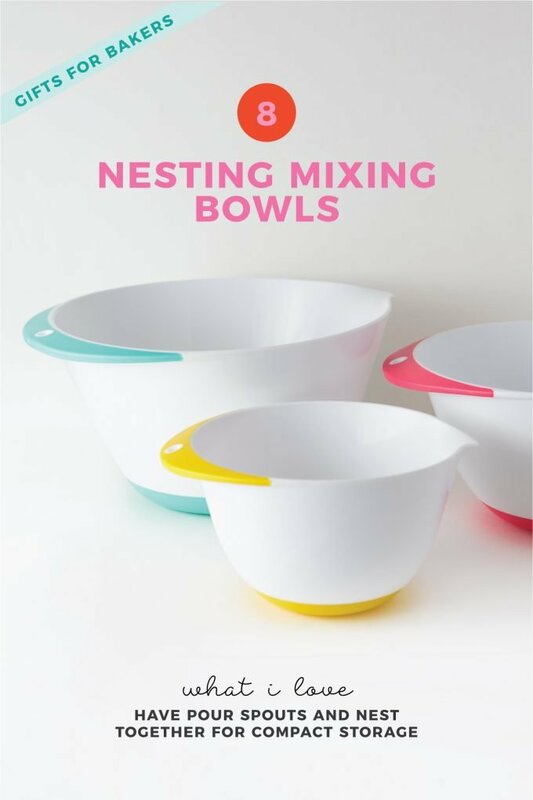 These mixing bowls not only come in fun colors, but have pour-spouts making them perfect for pouring batters into pans. 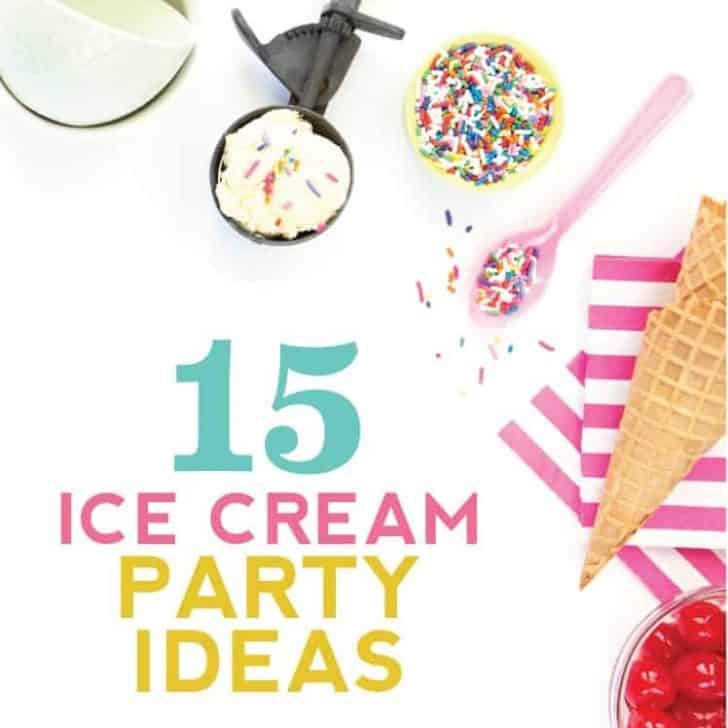 Not sure what to give someone who loves to bake? 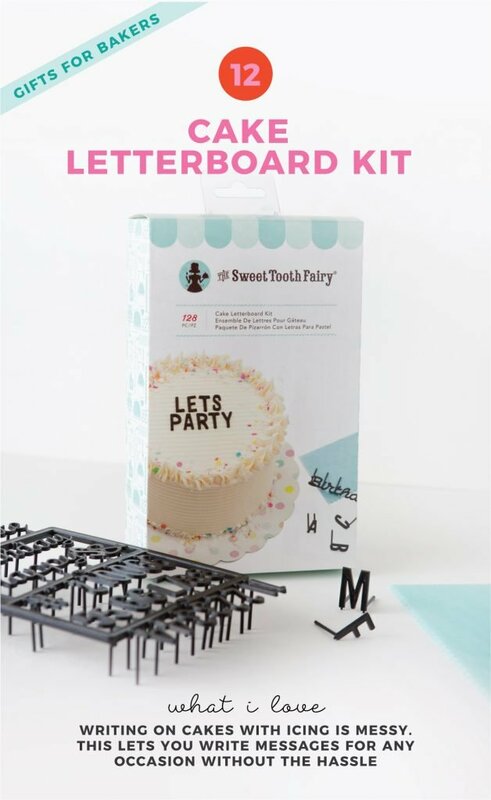 Support small businesses and give them a gift card from the popular online boutiques Flour Box Bakery or Baker’s Party Shop and allow them to pick out their own fun baking gadgets! 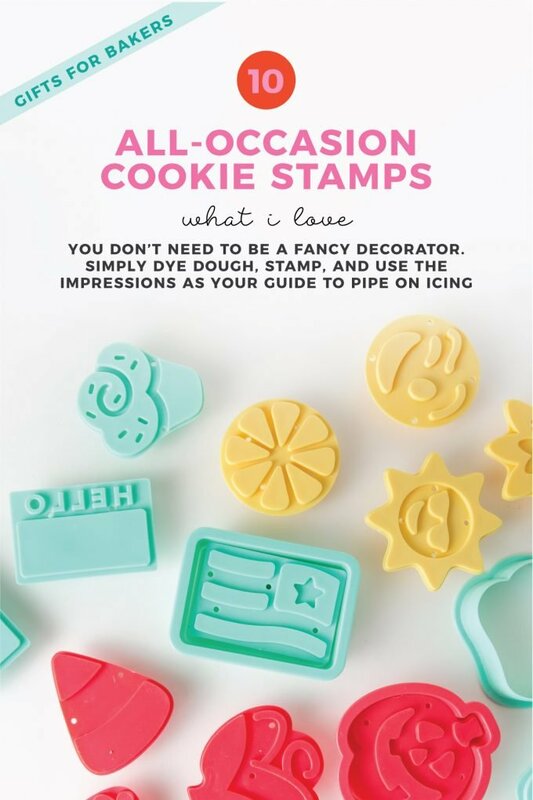 No matter the skill level, this unique Cookie Stamp Set is the ultimate gift for cookie decorators, casual bakers, or even kids. 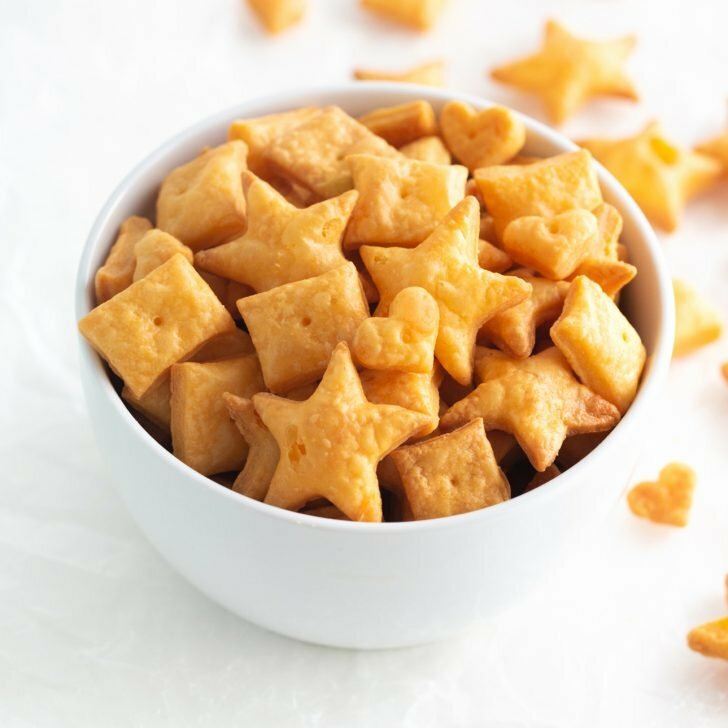 Each cookie cutter includes 2 stamps that allow you to make adorable decorated cookie WITHOUT all the fancy decorating. Simply dye the dough one color, stamp, and then fill in the “lines” with icing. 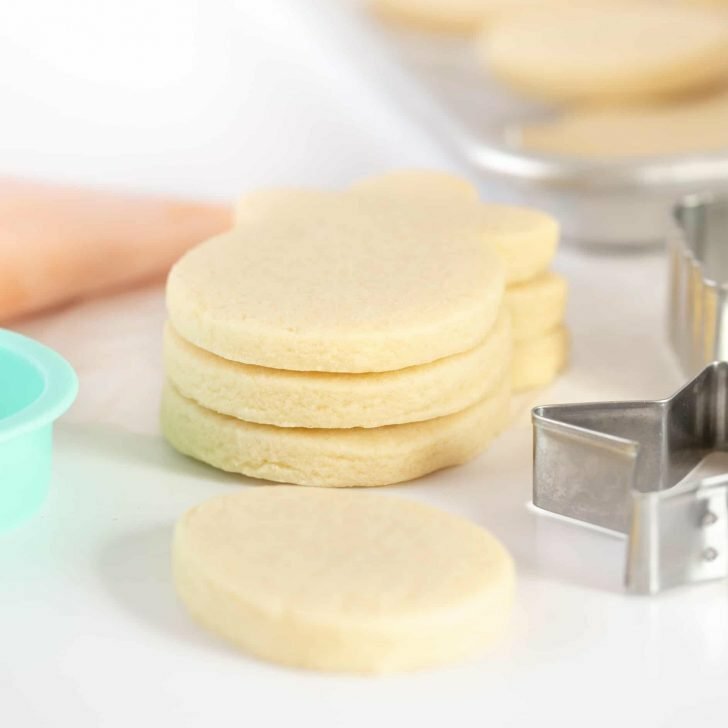 Includes designs for every holiday, making it the perfect cookie cutter set to use year round. 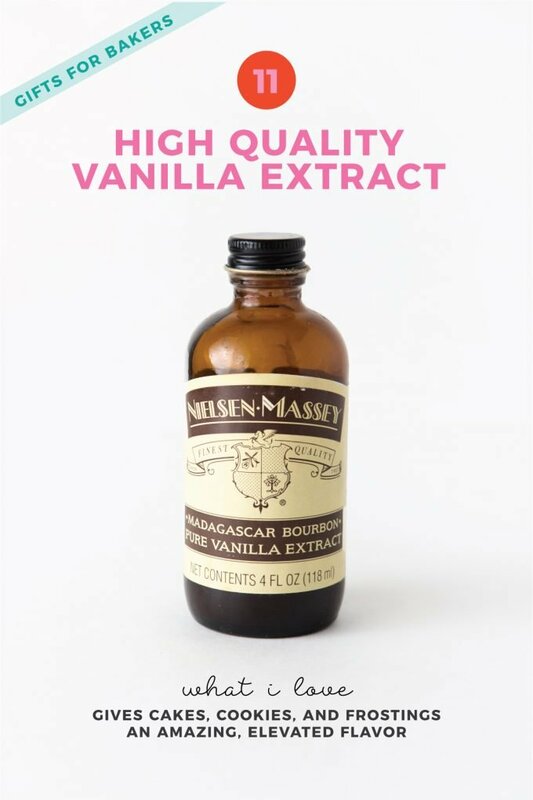 Not all vanilla extract is created equal. This high-quality vanilla extract elevates the flavor of homemade cookies, cakes, and frostings. Definitely cost more than the imitation extract, but makes for a perfect stocking stuffing for those who appreciate making quality baked goods! 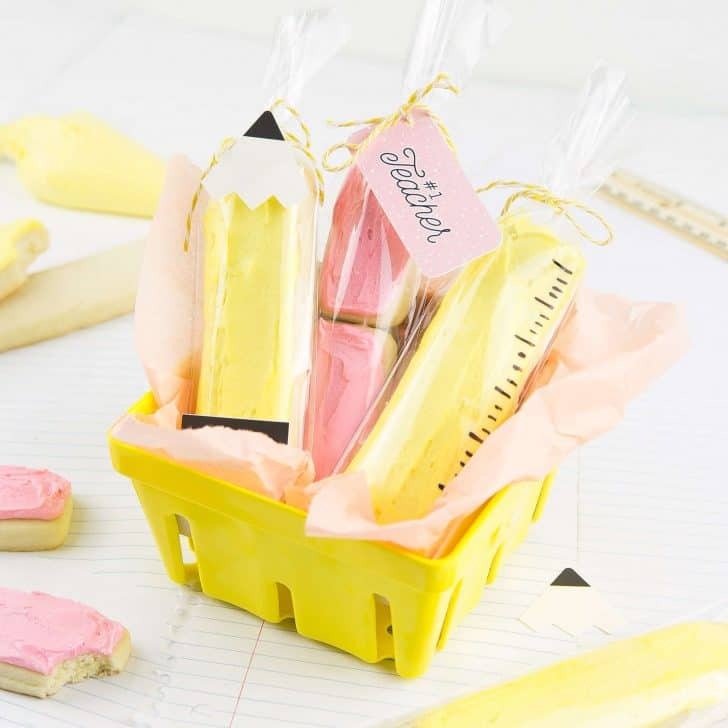 This is one of my favorite baking accessories, as it allows you to write fun messages on cakes, bars, or cookies WITHOUT needing to use fancy icing techniques. 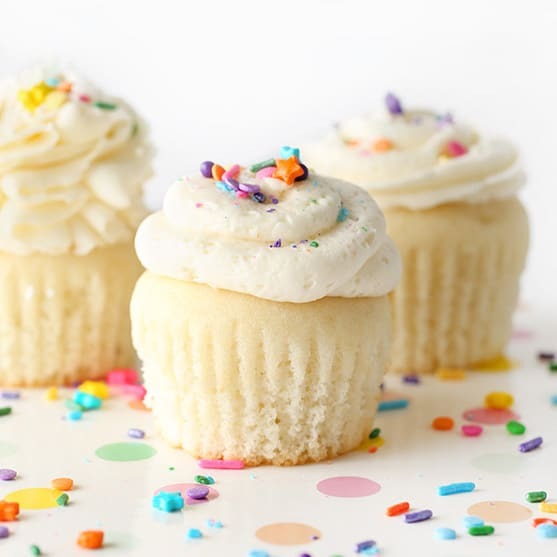 Give to someone who loves baking for a gift they can use year round for family birthday cakes. 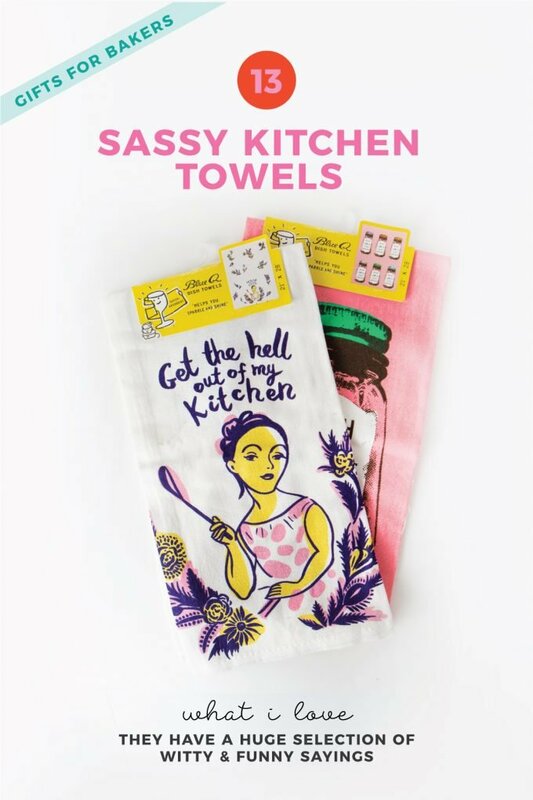 For all your sassy baking friends, these kitchen towels are the perfect baking gifts under $20. Made from a company called BlueQ, these are just two of the many hilarious and witty kitchen towels and oven mitts they have. Sally is a prominent baking blogger who over the years, has released several baking books. 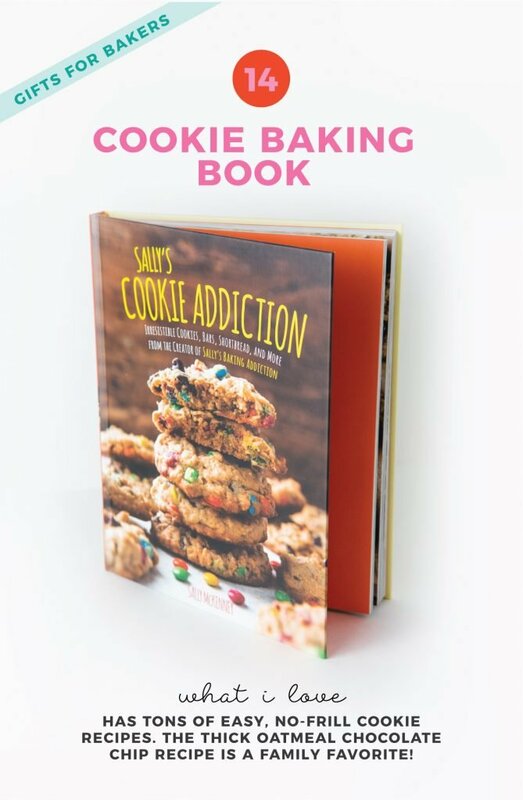 I received this one for Christmas last year and her cookies are always easy to make and always a crowd hit. I’m putting this last because it’s by far the most expensive item on the list, but MAN is a Kitchenaid mixer the ultimate gift. 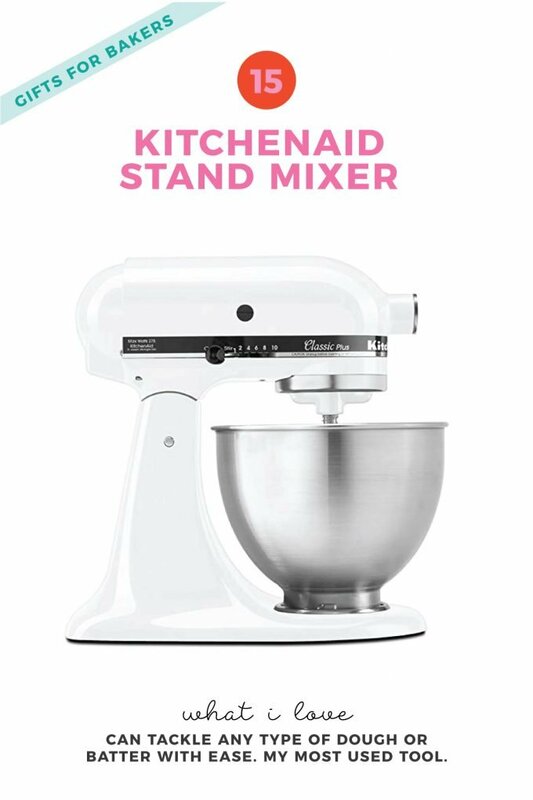 If you have a spouse whose been eyeing a kitchenaid mixer, one of these beauties should be at the top of your list. We’re Not Done Yet! Keep scrolling for ideas on how to pair these products to create baker’s gift baskets for the $25, $50, and $100 mark!